Use printer or copier to create professional-looking business cards. 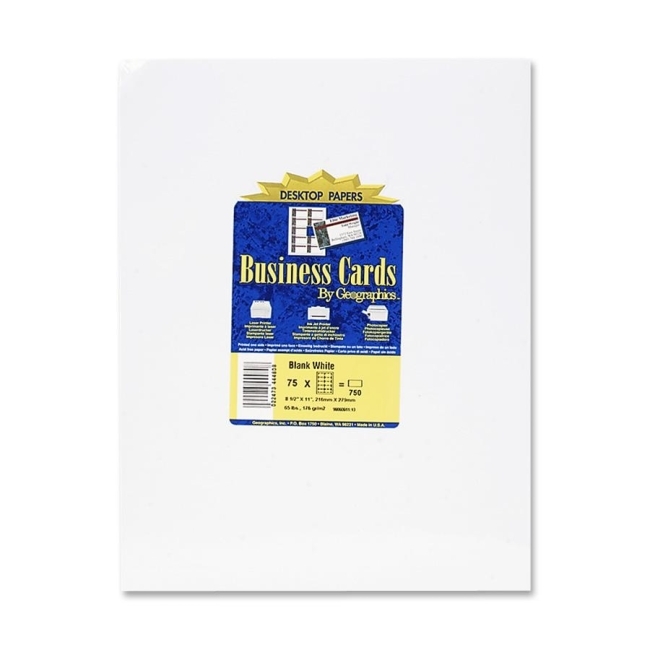 Ideal for everyday use or to make customized messages, title or address changes, or cards for new employees. Heavyweight, 65 lb. card stock is microperforated for clean separation and smooth edges. Format with preset layouts in popular software programs. 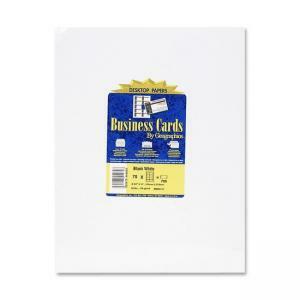 Sheets of cards are compatible with laser/inkjet printers, photocopiers, typewriters and handwriting. Acid-free, archival-quality business cards are made from 30 percent recycled material.